The Malawi Anti-Corruption Bureau (ACB) and prosecutors in the K24 billion cashgate scandal have revealed that the country should expect arrests of high profile people to happen soon following revelations by Leonard Kalonga. 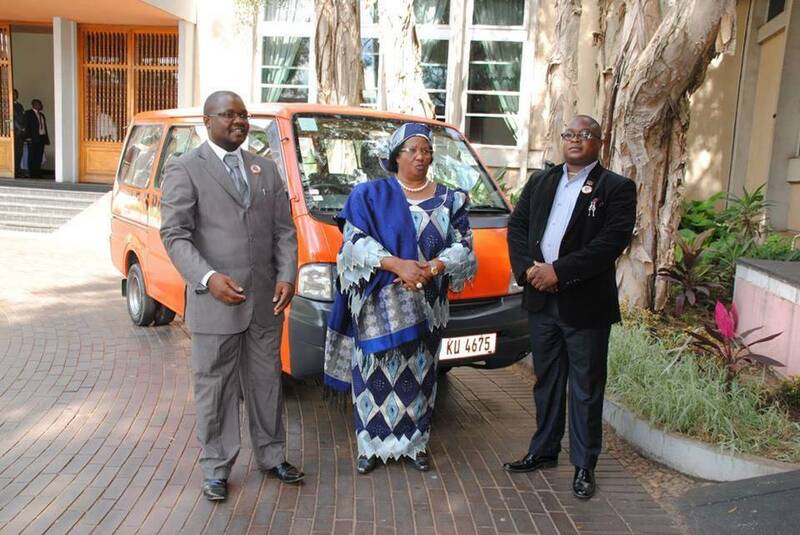 While pleading guilty to theft and money laundering charges, Kalonga who worked as Assistant Director of Tourism (Planning and Development) in the Ministry of Tourism allege in his affidavit that K3.7 billion was looted from his ministry on behalf of former Malawi Joyce Banda. He detailed under caution how he schemed with Paul Mphwiyo and Oswald Lutepo among other top cashgate players to loot billions of public funds which they channeled to state house to finance campaign activities that Joyce Banda and her Peoples Party were undertaking. “It was clear later that, at the behest of Mr. Paul Mphwiyo, the connection and my involvement therein was respectively about and in return for assisting in ‘generating’ revenue for the ruling party. He always said that the money was going to State House. There was a time when he left me in his office and said he had to rush to State House on the funds matter” reads part of a statement purportedly issued by Kalonga to the prosecutors. Kalonga claimed in his affidavit that much as he did not deal directly with the then Head of State, Joyce Banda, he was informed by Paul Mphwiyo that the money he collected was delivered to State House and all those who were involved were aware of this arrangement. 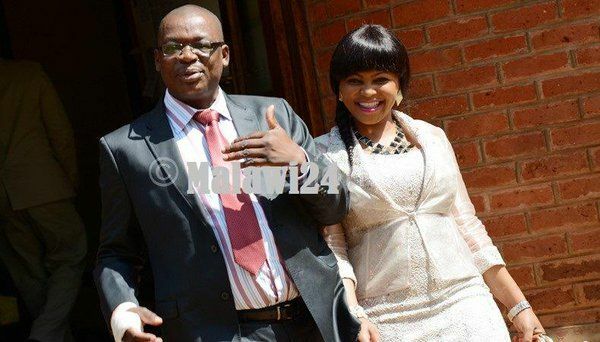 Kalonga joins Stanford Mpoola and Oswald Lutepo who separately alleged that Mrs. Banda used them as conduit through Paul Mphwiyo as the intermediary. “There was a time when Lutepo claimed to be talking to the Head of State [Joyce Banda], on speaker phone, so I could only hear him assuring her about bringing more money for the campaign”. While conceding being the principal in the racket involving 17 contractors who jointly looted over MK3.2 billion, Kalonga also claims that one of the convicted cashgate criminals, Tressa Namathanga Senzani, met the then president, Joyce Banda, to seek assurance that they would not be arrested the moment the cashgate scandal became public. “We were told not to tell the truth about what had been going on because the ‘authorities’ would protect us. After the President’s return from an international trip [when she alleged that she knew who had shot Paul Mphwiyo], Senzani went to meet her at Sanjika, to seek guidance. Senzani personally told us at MOT [Ministry of Tourism] of the President’s protection, that it would be taken care of, probably by stopping the investigating agencies dealing with us” claims Kalonga. Kalonga also allege that Paul Mphwiyo asked him to fraudulently pay K520 million to a Mr. Limbikani Gumbo of Automotive Products Limited at Area 18 Petrol Station for six Scania Marcopolo Torino now widely known as cashgate buses. Ironically, following an attempt on Paul Mphwiyo’s life in September 2013 , Joyce Banda told the public that she knew the suspected assailants. She claimed that the then National Budget Director was targeted for fighting against corruption. But in his affidavit, Kalonga says Mphwiyo told them that the then president would reward with promotions, special recognition, lucrative local and diplomatic postings and cash officials who would help implement the money laundering scheme. Kalonga is yet to be sentenced as the list of people convicted over the cashgate scandal gets longer. He joins Caroline Savala and Oswald Lutepo on the waiting ward for sentencing. So far, Director of Public Prosecutions, Mary Kachale has said the law enforcement agencies are working against the clock to nab those who Kalanga has implicated. Without confirming whether Joyce Banda is among those facing arrest, Kachale said: “We have seen about two names [who] the ACB will take…the Politicians are there”. A forensic investigation funded by the British government established that K24 billion was stolen within 6 month from April 2013. Another audit analysis funded by the German government found that K553 billion was uncounted for during the 2 years that Joyce Banda. Banda who left for South Africa when it was clear the ACB was rounding up on Paul Mphwiyo, denies all involvement. She however claims that she fears being persecuted if she were to return to Malawi.